This is truly a one of a kind find! 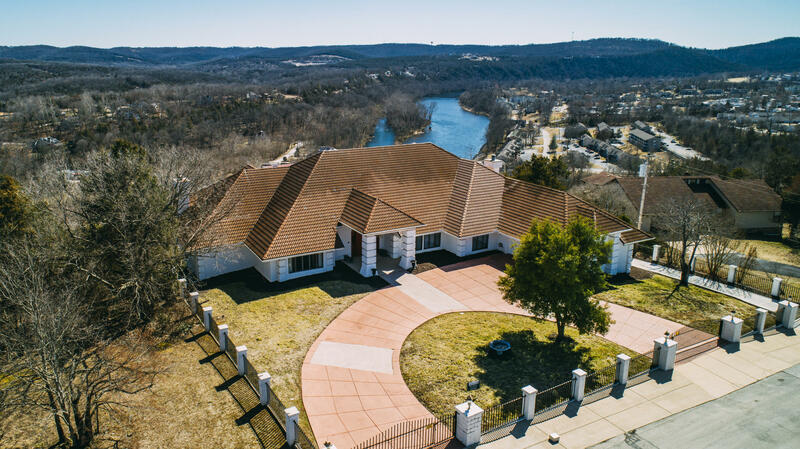 Located at the highest point in Branson, MO overlooking the beautiful lake Taneycomo, you must see to believe the view! This gorgeous home has a total of 9, 000 sq ft and 3, 000 sq ft of deck space to enjoy that view or entertain company. This home comes semi-furnished & features a grand staircase with 6 bedrooms all equipped with their own updated bathrooms, a big kitchen, office space, multiple living areas each with a fireplace, wet bars, fitness room, & more. The fitness room comes with equipment & features an indoor sauna and hot-tub. Includes full RV hookup & 2 attached garages that can hold up to 4-5 cars. You can be at Table Rock, Lake Taneycomo, or Branson landing in a matter of minutes! You don't want to miss this!